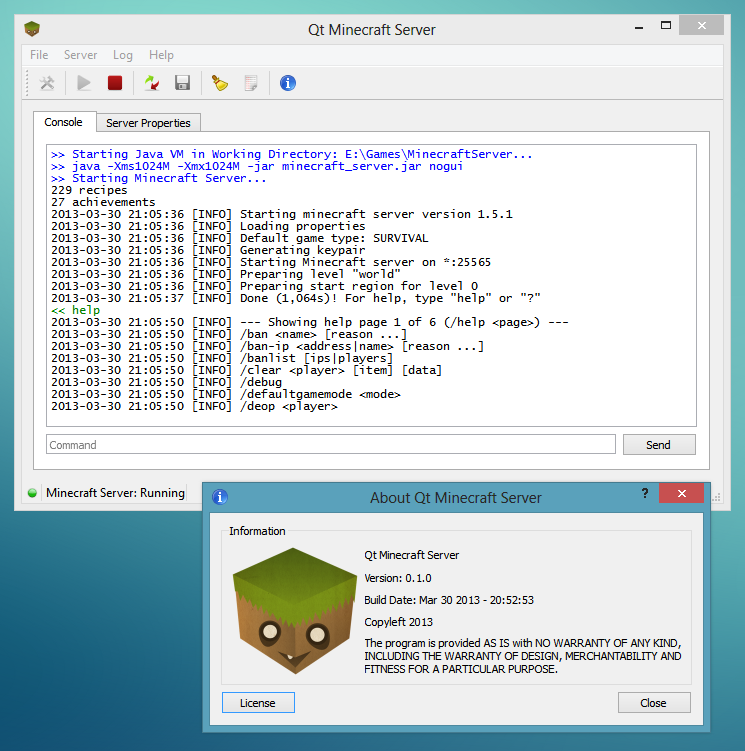 Qt Minecraft Server is a GUI application for running/managing your own Minecraft Server. The official Minecraft Server (.jar) package can be downloaded from within the application at the Settings dialog. – A recent version of Java VM that is supported for running the Minecraft Server.